Over the last thirty years, Christopher Hitchens has established himself as one of the world’s most influential public intellectuals. His originality, bravery, range, and wit made him first a leading iconoclast of the political left and then, later in his career, a formidable advocate of secular liberalism. When the Twin Towers were attacked in September 2001, Hitchens was re-energised again, quickly emerging as one of the fiercest and most influential advocates of war on Iraq. In this long-awaited and candid memoir, Hitchens re-traces the footsteps of his life to date, from his childhood in Portsmouth, with his adoring, tragic mother and reserved Naval officer father; to his life in Washington DC, the base from which from he would launch fierce attacks on tyranny of all kinds. Along the way, he recalls the girls, boys and booze; the friendships and the feuds; the grand struggles and lost causes; and the mistakes and misgivings that have characterised his life. 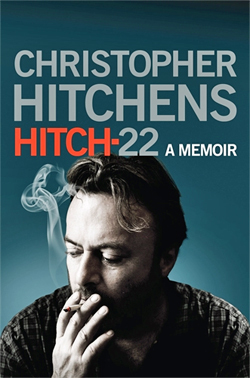 Hitch-22 is, by turns, moving and funny, charming and infuriating, enraging and inspiring. It is an indispensable companion to the life and thought of our pre-eminent political writer. Christopher Hitchens died on 15 December 2011.